Your website is the centerpiece of all of your online marketing campaign so let’s begin with the basics. A Great Website: What it’s Not!! It’s not a brochure just giving information. If you go to a web person or a web design company, it can be a real problem because they’ll get stuck in the design and not get stuck in the basics. 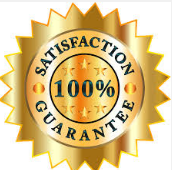 If you go for a programmer, techie person, they’re technical and you don’t get any marketing skills.You need to get the services of a company that clearly demonstrates they’re marketing based, then it will work for you, otherwise you’re just going to spend money and get another ‘me’ to website. 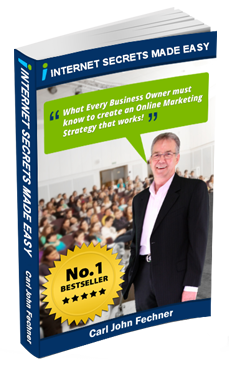 My business name and domain name is Internet Secrets Made Easy. Am I making the secrets easy for you today? Yes, I am. Choose a domain name that describes your location or business type. What I mean by that is if my domain name was let’s say, Bairnsdale Accounting it would tell you what the business was about, wouldn’t it? But if the domain name was Eager and Partners, it doesn’t tell you nothing, does it? 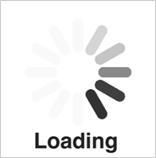 This can be a challenge, but Google really wants it to load in four seconds. I find that a bit difficult to do when you start loading up graphics and stuff and our internet in our country is slow anyway but that’s the ideal time. White writing on black/dark background This just an absolute no-no. There are some exceptions and we’ve bumped in this with a couple of our clients, not white on black, but dark backgrounds because that’s already their brand identity and we had to follow on with their current brand and image. 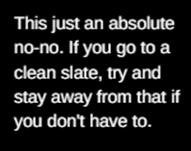 But if you are starting with a clean slate, stay away from this format if you don’t have to. No captions on photos The brain wants to look for explanation. This is always a bit of a challenge; I know for our own team to make sure that they do this. Too many fonts – colours etc. That’s why we spend the time with a business owner to find out what they’re currently doing to make sure it mirrors what they’re doing offline. Answers all the readers concerns, fears, etc. The rest of what you say should be about WIIFM? What’s in It for Me? That’s why you’ve got to understand the psychology of your customer. The moment they come onto your page, you want to be answering their questions, they want to know, “what’s in this for me?” And that’s a fact. So when you’re writing your page content, imagine that buyer in front of you and think of them as a buyer that you are explaining the features and benefits of your products and services in a face to face situation. Enter the conversation in your perfect prospect’s mind.